launching of flagship projects related to the business park. Several cities are potential candidates for the settlement of this business park with several locations: Tunis, Monastir, Sfax and Zarzis. It could also be settled in a single area offering the best geographical, economic and size conditions like the Gabes Gulf. Apart from the local administrative authorities, several partners are involved, such as: the Agency of the Harbours and Fishing Facilities; the station INSTM in Monastir ; the Institut Supérieur de Biotechnologie de Monastir. A workshop was organized in January, 2009 by this business park which is the national entity for the agro-food sector. Ifremer and Agropolis International took an active part in a technical seminar on the sea products (100 participants ;1/3 of them being agro-food professionals). These works showed that there is a real development process in this field. There are numerous opportunities at social, economical, industrial and scientific levels, in particular in the clam sector. 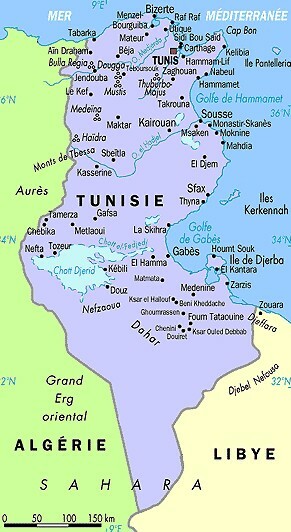 This program is part of the bilateral agreements signed between France and Tunisia which was approved by the Ministère de l’Immigration, de l’intégration, de l’Identité Nationale et du Développement Solidaire. It is a program for economic development based on the decentralised cooperation: it is scheduled between 2009 and 2011. Agropolis International is a member of the steering committee set up to manage this program; it is involved in two actions led by the Governorate of Médenine: support for the setting up of a business park dedicated to dry areas and support for the organisation of the agricultural sectors located in towns periphery.